Book Storage for FREE now! Search for a storage unit near you, enter your city or zip code. In seconds you will see a list of storage facilities near you. Choose the right storage unit and save money in the process. 10Putting Your Boat&Personal Watercraft in Self-storage. l4Know Your Self-storage Facility’s Terms&Conditions. Whether you’re a self-storage rookie, veteran or looking to store small household items, business equipment or vehicles, we're sure you will find valuable information here. There are many types of self-storage facilities to choose from, so it's important that you choose the facility that's right for you. They range from simple home goods self-storage facilities to facilities specialized in vehicle storage, boat storage, or business storage, and more. Here you'll find information about each self-storage facility type as well as descriptions of the various amenities available. Good packing is important when storing your items in a self-storage unit. Proper packing and labeling will help you avoid any damages to your items and save you time and money in the long run. There are many things you can do to keep your self-storage unit organized. Here you'll find valuable self-storage packing information that will help you protect your stored items and make life easier. Keeping your items safely packed and stored is only one part of the equation. Knowing about your self-storage facility's policies, terms and conditions, and practices is also very important for a smooth self-storage experience. The tips below will give you important information to keep in mind when dealing with self-storage facilities. With so many reasons to use self-storage, there’s no one solution for everyone. There are many unique and important factors to consider such as the location of your facility, the amenities they offer, and the unit sizes available. You will also need to determine proper packing and securing of your belongings when getting them ready for storage. The location of your self-storage facility is always important, especially when you need to have quick and easy access to your stored items. Generally, it's best to choose a self-storage facility close to home or work or somewhere along the way. The less time and driving it takes you to get to your stored items the better it is for you. Permanent self-storage facilities are great for storing extra household items year-round. Mobile storage offers a more temporary solution that gives you the ability to move your stored items easily when relocating to another city or state. A mobile storage unit (known sometimes as PODS – Portable On Demand Storage) can be easily transported and allows for longer time to unload at your home than a standard moving van. Protection of your stored items comes in many forms, mainly with climate control and security. Many self-storage facilities offer climate-controlled units, which help to ensure your delicate items are kept cool and dry to preserve their life. Cameras, alarms, and security gates are all common features at most self-storage facilities. Discuss these options with your self-storage facility to make sure your needs are being met. SIZE – Most units are sold according to square footage. Measure large items to ensure they will fit in the space you choose! INDOOR or OUTDOOR – Outdoor facilities are best for large items like vehicles and lawn equipment, boxed items and valuables are better stored at indoor facilities. ACCESS – Do you need 24/7 immediate access to your unit at all times? Will you be needing special equipment to load/unload? PRICE – Ask about discounts for students/military, payment methods, and any special promotions. Prices vary depending on unit size, climate control options, and extra features. USSelfStorage.com is your one-stop shop for helpful packing, moving, and self-storage advice. Get the information you need to keep your important items secure and free from damage from start to finish. Whether you're just looking to create more space in your home or relocating to another state, here you can explore self-storage facilities in your area and across America to find the storage solution that's right for you. When preparing your valuables and important items for storage, you must consider how they will need to be protected from damage. The storage and packing supplies you choose will be key in maintaining the life of your stored items. Heat and moisture are two common elements to take into consideration when choosing your storage and packing supplies. If you are not storing your items in a climate-controlled self-storage facility, you need to pack delicate items such as textiles and paper in moisture-proof storage supplies. Items that are prone to discoloration such as books and magazines should be stored in dark containers to prevent fading or yellowing. There's a Storage Solution for That! Storage supplies come in various forms from boxes to bags, wraps to labels. If you are storing many smaller items, the type of boxes you use can be very important. Many self-storage facilities offer storage supplies for sale right in their main offices. Their staff can help you select the packing solutions that are right for your needs. Dishware boxes – Specially designed with cushion inserts to hold various shapes of dishes (glasses, stemware, plates, bowls, etc.). Specialized shape boxes – Tall, wide, skinny, flat, reinforced cubes…no matter how awkward the item shape, there’s usually a box for it! File boxes – Reinforced and sized for documents and hanging file folders. Wardrobe boxes – designed with a bar for hanging clothes such as dresses and suits to keep them wrinkle-free. Original boxes – Many fragile items such as snow globes, glass décor, and small appliances come in boxes with special form-fitting Styrofoam inserts for packing…don’t throw these out, keep them for storage later! Plastic bubble or sheet wrap – Great for holding items together, adding moisture protection, or just providing extra padding for fragile items. Poster tubes – Used for storing posters or other rolled materials to prevent creasing or tears. Acid-free tissue paper – White tissue paper to prevent color damage and acid-free to deter yellowing of textiles and documents. Slipcovers – Used for items like for furniture, to protect from stains and dust. Packing peanuts – Perfect for filling in gaps between irregularly shaped items in boxes to prevent breakage. When you have everything ready to load into your self-storage unit make sure you add lift assists or a dolly to your storage supplies list. You should load larger items into the unit first, and then fill in empty spaces between them with the smaller items. If you are storing items you know you'll need to access to later on, load those items near the front of the unit for easy access. Smart packing of your self-storage unit and proper use of your storage supplies will save you time and effort in the long run! Your memories are important and while you may want to hang on to those paintings your grandmother gave you, you not want to hang them up in your house. When storing antiques and other valuables, you not only have to worry about security from theft, but also keeping your precious items from being damaged. At USSelfStorage.com we provide you with the tools and information you need to find the storage facility best suited for your antiques and other valuables that will keep them safe and secure until you need them. The safe- keeping of your valuables is one of the most important considerations when it comes to self-storage – trust USSelfStorage.com to help you find and compare self-storage facilities across the country. Wall art, whether canvas paintings or framed textiles, are sometimes tricky to store. Specially-designed frame boxes are flat and come in a wide variety of sizes to protect the glass from breaking and the colors from fading. Use special textile wrapping, not plastic, to protect canvas art, as plastic can react with the paint and cause discoloration. Avoid allowing the canvas to come in contact with any packing materials to prevent reactions with the paint. When storing several paintings in a box, place cardboard between frames. Storing antiques, especially textiles, involves careful attention to moisture protection. Clean all items as best as you can before placing them in storage to avoid stain damage or mildew. If storing flat, wrap in clean white cotton sheets or place acid-free paper between pieces or folds. Storing antiques like rugs or tapestries is best done rolled with design side out and covered in acid-free cloth. Hanging storage is best for vintage clothing when done in acid-free, moisture protection bags. Always speak to your self-storage facility about their security features before deciding on a company. Many facilities offer extra security measures such as specialty locks and insurance. Most consumer self-storage facilities know people are storing antiques and valuables and will have their sites gated with access codes and restricted access hours to prevent theft. Important documents can be stored safely and securely in the proper storage containers at a climate-controlled self-storage facility. The biggest cause of damage to paper goods is moisture and many document storage materials have special airtight features. Acid-free boxes and sleeves will help keep paper from yellowing and deteriorating. You may want to also consider a fireproof box as an extra measure of security. When it comes to protecting your valuable items not just any self-storage facility will do. Take time to research and compare several sites using USSelfStorage.com's self-storage facility locator tool. Whether storing a vintage automobile or your business’ past records, your choice of self-storage facility is a decision you should not take lightly. Here’s a secret: you’re not alone. At some point in our lives we’re all faced with too many belongings and not enough space to store it all. The good news is you don’t have to decide if you need to part with old or infrequently used items, you can keep them safe and free from damage in a self-storage facility. Household items such as gently used furniture or major appliances like washers and dryers can be kept in an easily accessible self-storage unit until you need them again or decide to sell them for a fair price. If you'll be storing a washer and dryer, run them on an empty cycle to make sure the residue is cleaned out before moving them into the unit. A cup of bleach or white vinegar can help avoid detergent residue in washers. It’s also important to clean the interior and exterior of your washer to prevent stains or mold growth. You can leave the washer’s doors slightly open with a box of baking soda inside to help avoid lingering smells and mildew. The holidays only come around once-a-year. Instead of keeping your holiday decorations in your garage or closets, why not pack them neatly into an appropriate storage container and fall in love with all the new space you’ve created in your home? Fine China and specialty cookware like Chafers and roasting and Paella pans are great to have when hosting a special get-to-together with friends, but they can take up a lot of space in your kitchen cabinets the remainder of the time. Today’s self-storage facilities carry special dish and cookware boxes, as well as other special packing supplies on site, so you can rest assured your items will be protected from breaking and denting. Do your short but cold winters cause your heavy coats, jackets, comforters, and blankets to be out-of-season in a flash? No need to fret. A self-storage unit can help you free up some space in your closets for your summer clothing. Puffy comforters and jackets can be condensed with special vacuum-packed storage bags until the need for warmth arises. Who wants to part with rare first editions, important newspapers marking a significant event in time, or a beloved CD/DVD collection? These precious items can be stored safely in a climate-controlled self-storage unit away from moisture and humidity. Books are best stored in cardboard boxes with a piece of cardboard or wood placed between each book to keep them from sticking together. CDs and DVDs fare well in their own cases stored in boxes or airtight plastic bags. When storing newspapers or magazines look for acid-proof boxes to avoid yellowing of the pages; tissue paper between issues will also protect the print from bleeding off. When packing your self-storage unit, remember to pay attention to when you'll need your items. A good time-saving technique is to arrange your boxes and containers by time-line with the closest season or holiday near the front of the self-storage unit and then rotating these items to the back after their use. Many self-storage facilities offer short-term or monthly contracts so you can rent a unit or mobile self-storage unit for as long as it takes to complete your move or home improvement project. Moving to a new house or apartment can be quite a task no matter how you choose to do it. With the right resources and proper planning however, you can eliminate some of the stress and focus on the excitement of having a new place. How to best pack your belongings. Whether you will need to temporarily store your furniture and valuables at a self-storage facility until you're ready to move in. How to effectively get your furniture, boxes, and bins to your new place. Depending on your budget and how much stuff you have to move to your new place, you may find that you can get the job done with the help of a family member or friend. And, with all the people driving SUVs and pick-up trucks these day, you may even know someone who would be willing to lend their time - and their vehicle - to the cause. Another option would be to hire a couple of people to handle the move for you. Before they start working however, you should agree on a flat rate for the day or discuss the hourly pay rate for their services. If you can't manage a one-day move due to a gap between leases, choosing a mobile self-storage unit is a great solution. These units can be delivered to your residence where you can load them at your convenience and they can then be delivered to your new address (where you can take as long as you like to unpack them!) or held in a self-storage facility until you are ready to bring your belongings home. Renting a moving truck can be a cost-effective option for transporting your items, but there's the issue of time when it comes to loading and unloading your belongings. Many truck rentals are by the day or hour, which can force you to rush through the process in order to avoid extra fees. When shopping around for a moving truck, you'll want to compare each company's costs. Some moving truck rental companies will charge a flat rate plus a per mile fee while others will only charge a flat fee. To get an accurate estimate of what renting a moving truck will cost you, you should also factor in the cost of gasoline and liability insurance if you need it. Your auto insurance policy may cover insurance for the truck rental, but you should be certain before you sign your name on the dotted line that declines the rental truck company's policy. If the very thought of packing and moving make you cringe - and you're working with a larger budget - you may want to consider hiring a reputable moving company to pack and transport your items for you. Speed - if you don't have a lot of time to relocate, but you've got a lot of stuff, you can capitalize on a moving company's availability and experience to get the job done swiftly. Added protection - though you wouldn't want your belongings damaged in the moving process, you can rest assured that they will be covered in the event that the movers accidentally break something. Before you choose a moving company, it's important to check their credentials and to rule out any bad dealings with other customers. The start of a home improvement project can be exciting, but that excitement can start to fade when your furniture takes up too much of your work space or you begin to worry that the dust and debris from your project may damage your personal items. You'd have a much easier time working on your renovations if your belongings were out of the way and stored safely at a self-storage facility or in a mobile self-storage container. Whether your business is run out of a separate office or out of your home, you know how much space your documents can take up. Filing cabinets and document boxes can take up space better used to create a nice waiting area for your clients. When you’re looking to create more space in your office and still keep your records organized and safe, you should consider moving your office storage to self-storage! Do you have additional copies? Do the documents need special care prior to storage? Are these archives or just being held for tax purposes? Will you need to dispose of old records eventually? Fireproofing is another major consideration when storing sensitive, irreplaceable documents. Even though most self-storage facilities are equipped with fire safety measures, you can never be too careful. Climate control for humidity is also critical, as moisture is the most common cause of damage for stored documents. Your storage containers will also play an important role in document storage options. If using boxes, make sure they are made of acid-free materials to prevent yellowing. For individual document storage, acid-free sleeves are available for extra protection. If you’re storing items for future use, make sure that the cabinets containing the items you are least likely to need are placed in the back of your self-storage while the most current documents are stored in the cabinets closest to the front of the unit. Avoid placing boxes directly on the floor; in the event of a flood they will be much safer when kept off the ground. If your document storage is being done for annual record keeping, and you need to purge old records, consider a self-storage facility that offers document disposal services. There are companies that offer secure document disposal and provide on-side shredding and destruction of materials. When replacing old office equipment, you can utilize self-storage to store your old equipment for emergency use. It’s always great to have a spare copier or printer stored away when your current unit needs repair. When storing electronics such as printers, it’s best to remove the ink and toner cartridges to avoid leaks. Materials that are not used often such as trade how displays or folding chairs can be easily stored in a self-storage unit until they are needed. Many self-storage facilities specialize in corporate storage and will provide accommodations for multiple-employee access. Your company should decide on whether or not one main employee will have access to the self-storage unit. You should consult with your self-storage facility to learn what access options they have and whether or not it is advisable for multiple employees to have access to your storage unit. Most people think of self-storage as a permanent solution to their extra items, but what about when you only need to store your belongings for a few months? College students and active duty military personnel may only need 2-9 months of storage space, and many self-storage facilities cater specifically to their needs. When the cost of shipping your valuables to mom and dad’s house for safe-keeping while you’re on break blows your budget, you may want to consider self-storage. The self-storage facilities near your campus know that your storage needs are unique, which is why many of them will offer smaller units and discounts or special deals to students. Self-storage is becoming a popular option for students across the country. If you know you’ll be going away for the summer or Christmas break, you should start looking for a unit well in advance. Otherwise, you may have to settle for a self-storage facility that’s a few miles away from campus. When storing your electronics, appliances, or valuables, you’ll need to make sure they are packed into suitable containers and organized accordingly. If you’ll be storing dishware and clothing, be sure to wash and dry everything before packing them into boxes or storage containers. Any leftover food or dirt can create mold or mildew and ruin your stored items. Once your belongings are packed, you should take time to label your boxes and storage containers. Knowing where everything is will save you time when you get back to campus. Similar to a college student, you may only need a storage unit for a few months. Rather than pay for an apartment during your deployment, storing your furniture and belongings in a self-storage facility will be much cheaper and just as secure. Follow general self-storage guidelines and tips for your items and your possessions will be ready and waiting for your return. 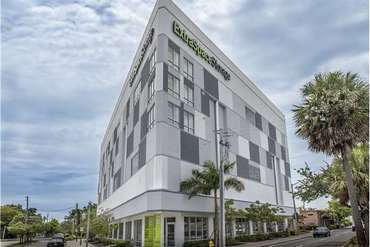 Many of the self-storage facilities that cater to college students will also cater to active military personnel and will offer the same special rates and discounts. When searching for your perfect self-storage facility, remember to inquire about the discounts and special rates available to active military personnel. Another thing to consider is their payment options and what actions are taken if a payment is late or delayed. Many facilities will allow you to pay in advance for a set amount of months or arrange a payment plan for out-of-towners. Deciding whether you should store your vehicle indoors or outdoors depends on your region’s weather pattern. If you live in an area with mild weather, your vehicle should fare well outdoors with the proper covers and security measures. However, indoor storage is the answer if your area experiences long, harsh winters or summers and is at high risk of tornadoes or hurricanes. All these factors can damage even well-covered vehicles kept outside. There are many steps to take when storing a car, especially a vintage car. But before you store that 1965 Ford Mustang Fastback, you should speak to a mechanic who specializes in vintage car maintenance to learn how to best store your baby for the winter. 1. Fill the gas tank and add a stabilizer to prevent rusting and damage to the fuel system. 2. Change the oil to prevent thickening of dirty oil over time. 3. Put tire jacks under the tires to prevent weight damage and flat spots. 4. Clean the car inside and out to avoid rusting and permanent paint damage. 5. Use a car cover to prevent dirt and fading. 6. Disconnect the battery to avoid acid leakage and corrosion. 1. Perform an oil and filter change prior to self-storage. 2. Change brake and hydraulic clutch fluids and make sure your coolant is fresh as well. 3. Prepare your engine’s fuel delivery systems for inactivity; follow your manufacturer's instructions for specific details about your engine type. 4. Clean your battery leads and attach a battery tender to keep it charged and ready. 5. Wash and dry the exterior and apply wax to the paint surfaces, chrome polish to chrome surfaces. 6. Cover with a light sheet or bike cloth to keep off dust, or if storing outside use a specially designed breathable bike cover to protect from UV and weather damage. 7. Use your center stand to keep your motorcycle upright, or if you do not have a stand, prop your bike up using blocks. 8. Inflate tires to maximum pressure, if the ground is in danger of freezing try to keep the tires propped using wood blocks. Uncovered and Covered Parking Spaces. Some facilities offer uncovered parking spaces for your boat. These are just open spaces in the facility grounds and you need your boat to be in a trailer and be able to tow it in and out. The same applies for a covered parking space, the only difference is that a covered space has an aluminum roof that will protect it from the sun. A limited number of facilities offer the ultimate in covered parking spaces. These are large, completely enclosed buildings with the parking spaces inside, they are ideal if you want to keep your boat out of the elements without having to rent a fully enclosed unit. Most facilities that have drive-up units larger than 10 x 15 will easily accommodate a boat with those dimensions. These units are like garages as you just back up your boat and trailer inside the unit, close and lock the roll up door and drive away. Make sure you measure the height, width and length of your vessel to make sure the units has enough clearance. Rack storage facilities offer long-term storage for shorter boats and small watercrafts. The boats are held on racks in a covered shed out of the water to avoid deterioration and marine life growth. There are certain facilities that keep their racks outdoors, which allow them to discount their monthly fees. When storing your vessel on an outdoor rack, you should consider protecting it from the elements with a boat cover. If you’re looking for added protection, however, a facility that keeps its racks indoors may cost a little more, but it’s definitely the way to go. Want to take your boat out of storage and into the water for the day? No problem! With a simple phone call in advance, a rack facility can easily accommodate your request. They’ll even return your boat to the shed after you’ve docked. Storing larger motor vehicles like RVs and trailers will normally involve finding a self-storage facility that specializes in large vehicles. Many offer larger bays or garages for indoor storage or assistance with seasonal storage when your vehicle is not being used. RV storage is mostly used during winter in areas like Seattle or Chicago and in densely populated areas like Miami where home owners associations do not allow them to park on homeowners properties. Inspect the exterior for cracks in the caulk around windows, doors and roof seams. Remove all perishable items from inside the RV and take out bedding and other linens to be washed and stored in your home to avoid musty smells. Vacuum the carpets and furniture and clean all counter surfaces as well as inside cabinets. When disconnecting appliances, leave the doors slightly opened with a box of baking soda inside to help deter moisture buildup. The exterior of your RV should be washed thoroughly before storage to make sure it’s clean and ready to roll come spring time. Applying cleaner and sealer to the exterior sidewalls of your tires will help reduce dry rot. Also, check for proper pressure to avoid damage from under inflated tires. Exterior stabilizer jacks and slide units should be well oiled to reduce the risk of rusting. Just as you would normally keep your stored items safe in your own climate-controlled storage at your house, you should consider keeping them in the same conditions when evaluating your self-storage options. Keep your expensive collections, irreplaceable antiques, and important documents protected from the elements by placing them in a climate-controlled self-storage facility! Many self-storage facilities offer climate control options tailored specifically to your storage needs – the additional charge is almost always worth it. In areas that have extreme temperatures, such as long periods above 90 degrees or below 20 degrees, storage units without climate control can either bake or freeze your belongings. Older metals and plastics have a tendency to warp or crack under temperature stress, and some items like candles and vinyl records can melt under extreme heat. Humidity is also a serious issue, especially in the southern areas of the country. Excess moisture can cause wood to rot, promote mold and mildew growth, and aid in the yellowing of documents and linens. If a self-storage facility is a properly climate-controlled, your stored items should be safe from regular climate conditions. Even with proper climate-controlled storage, there is always the risk of natural disasters damaging the self-storage facility. To add an extra safeguard against flooding, use shelving or other large objects to keep cardboard boxes off the floor. Airtight containers will add extra protection against moisture in the event of flooding. Most larger items such as vehicles and lawn equipment will require outside storage because of their size. When choosing an outdoor self-storage facility you should consider the additional protection they offer against the elements. Concrete slab platforms help avoid muddy conditions and tire damage and many facilities have roofs or tarp overhangs to help protect from some of the effects of sun, snow, and heavy rain. When renting at self-storage facilities, there are many events and issues that tend to slip our minds during the agreement phase. You may be considering sharing the space with others, or want to use the unit for things besides storage. Pest control is also an often overlooked matter of security you should be aware of. If you are considering sharing your storage space with another person, you should review your rental agreement’s terms and conditions to make sure that your self-storage facility allows unit sharing. You may need to share access codes and keys with others, and some higher security facilities will require their names and information to be on record to prevent unwanted access. If your rental agreement does not include a clause about storage sharing, you should still take steps to protect yourself. Create a written agreement with all others sharing your unit and outline the rules for access to the contents of your storage unit. Make sure you know who has keys and codes, how to handle moving of stored items, and how payment is divided. Insect and animal damage is one of the most overlooked yet most prevalent types of damage to your stored goods. Spiders are a common pest, and while they don’t pose much of a threat to your belongings, they can hide in items and be a poisonous danger when unloading. Ants can be a nuisance if they set up a colony in your boxes and then get transported to your home. Cockroaches pose the most danger to your stored belongings as they love to eat the glue that holds together boxes and book bindings. This is why it’s common to see cockroaches in warehouses and other places where glue is used to seal paper goods together. Cockroaches can not only damage stored items, but can also be transported into your home once you bring boxes out of storage. When deciding on a self-storage facility, ask about their methods of pest control. If you notice too many insects around the facility, you may want to choose another location. If they use chemical sprays or gasses make sure that it’s not done directly in the storage units if you are worried about the potential damage to fragile items. If that is the case, consider additional protections on linens and documents. Most self-storage facilities have strict rules about what purposes their units can be used for. It’s rare to find a facility that will allow for storage spaces to be used as practice areas for bands or workspace for artists. If you are looking for performance or craft space, you will need to ask up front if this is allowed before signing your rental agreement. Once you’ve found your ideal self-storage facility and decided on your unit, you’ll have to sign a rental agreement to finalize the transaction. It’s important that you review the terms and conditions of your agreement carefully so that you are fully informed of your rights and the responsibilities of your self-storage facility. If any part of the contract seems unfair or confusing, don’t hesitate to ask for an explanation before signing the contract. You want to make sure you are comfortable with what is stated in the agreement and address anything you don’t feel right about before signing. A standard self-storage terms and conditions list will involve protection for the facility in the event of catastrophic events, criminal acts, and tenant damage. The self-storage facility will want to protect their property from damage by its tenants by establishing unit cleaning procedures and damage charges. Many facilities will also require you to purchase insurance on your unit to protect them from additional responsibility. Payment of rental fees is also a large part of the self-storage terms and conditions. Your rental agreement will detail how and when payments are to be made, as well as the penalties for late or missed payments. Most importantly, you should make sure there is a clear plan for what happens to unpaid or abandoned units and their contents. Your self-storage agreement will also outline the facility’s rules for how to secure your unit, times of access, and security measures. There will be guidelines for what you cannot store, such as hazardous or illegal materials. The storage terms also protect the facility from responsibility for damage to your unit unless it was specifically their fault. When it comes to the “move out” terms of your agreement, pay careful attention to specific dates or time-frames for vacating the unit. You must be mindful of the grace period for which you have to move your items out before the storage facility can take action. Most storage agreements allow the facility to dispose of the items in abandoned or unpaid units after a set amount of time.